the latter which wrapped two weeks ago and I will write about soon as I spent the last day of their filming on the set. must be local hire for Philadelphia. Over the past month “Three Seconds” opened their production offices, scouted locations, moved into their apartments, held casting calls and scheduled shoots. 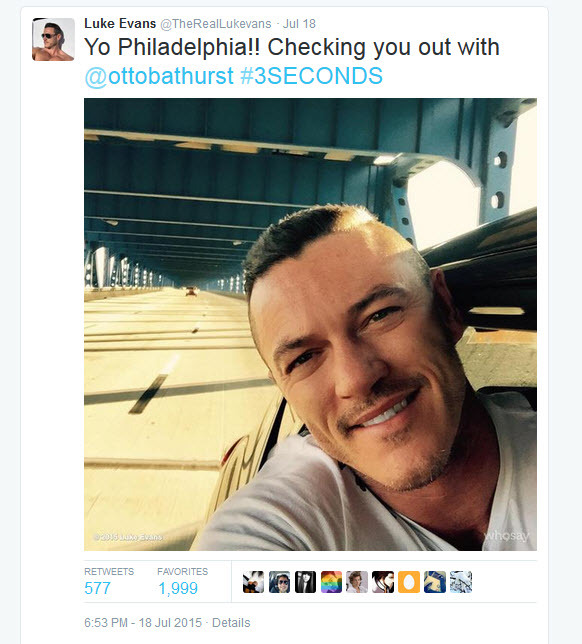 Luke Evans arrived in Philly mid July to prep for the film. Hundreds of extras sought for filming of ‘Three Seconds’ in Greensburg August 10, 2015. The filming was to take place between September 7 and September 19, 2015 – this being one of the many places in Pennsylvania for a Three Seconds shoot, including Sun Center Studios is Pennsylvania’s premier film and television production facility. 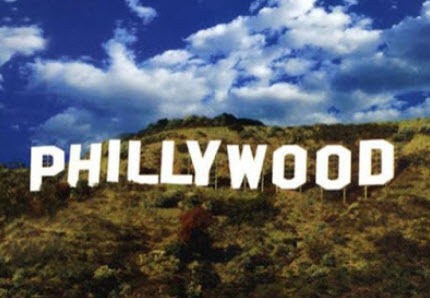 The first shoot in Philadelphia was scheduled for Sunday, it didn’t happened. Then I noticed yesterday Olivia Munn didn’t come to town yet, in fact she and her boyfriend made several very public videos that blitz the news cycle today. I was wondering why. Monday night I ran into someone that worked with the Three Seconds production, who told me the movie was not going to happen, in Philly or anywhere in Pennsylvania, but was unable to say for sure about ever. He was fairly angry when he told me, I told him I was a photographer who photographed celebrities and I was disappointed. The production has been closed down and everyone had left town. It was just 3 years ago when we lost another big budget film with a heart throb because of the stalemate with the budget, which does cost jobs and affects peoples lives. For the third time in a dozen years, counties and nonprofit agencies that make up Pennsylvania’s social services safety net are girding to pay the price of partisan deadlock in Harrisburg.